A stunning and wonderful gift to send to family, friends and colleagues this Christmas time! 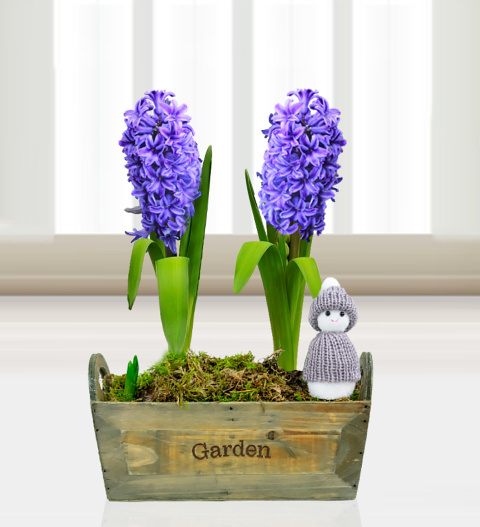 Beautiful and practical, this gift includes gorgeous and fragrant blue Hyacinths presented in a wooden Garderner's trough. These winter plants are easy to look after and enjoy the indoors during the colder months. Also included in the planter is a cute snowman to make Christmas extra special.